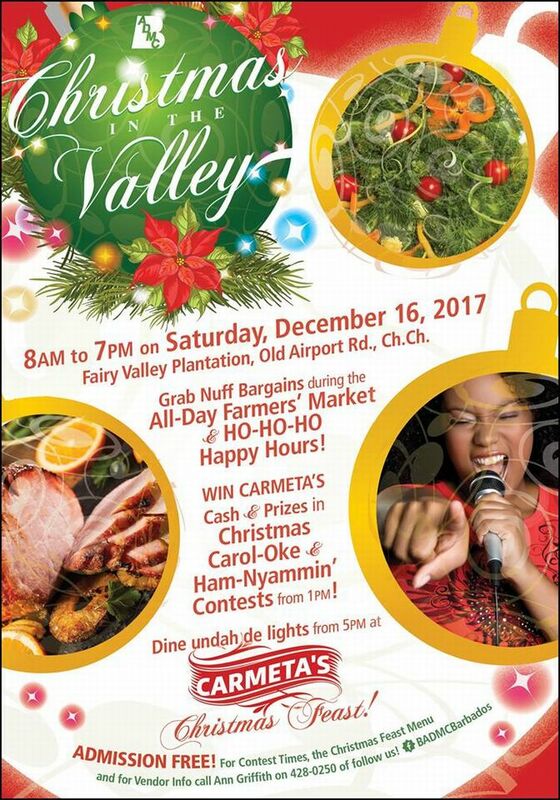 The Barbados Agricultural Development & Marketing Corporation (BADMC) presents BADMC Christmas In The Valley. Barbados' celebration of holiday lights, carols, contests and Christmas Feast in BADMC’s unique and picturesque plantation. The BADMC Southern Farmers Market will be open all day. Win cash and prizes in the Christmas Carol-Oke and Ham-Nyammin' contests from 1 pm. Dine under the lights at the Christmas Feast from 5 pm.